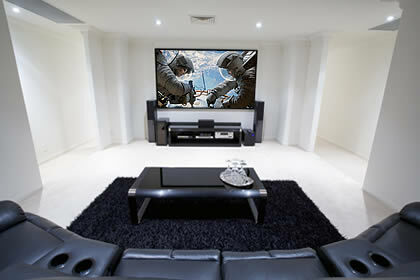 Whether you are looking to integrate a high performance audio and video experience into a living area or to create a dedicated private movie theatre in your home, we can help. We have 20 years experience in the planning, designing, installation and commissioning and calibration of class leading AV systems. We are partners with most of the major brands in the home entertainment industry such as: JVC, Sony, Denon, Samsung, RTI and Yamaha. Our experience and passion for AV comes from having our own systems and continuously developing our installations and skills. We pride ourselves in not just installing equipment but being able to create an experience. We believe that a correctly planned and executed system should make using it a magical event. Part of the magic is created with a fully customisable lighting system, this can be only in a localised area or integrated throughout the whole house.